55 Testimonials Found for CA. Click HERE To Enter Your Comments and Rate Your Stik! I received my new BubbaStik today. Thank you! Its a beauty. You are a true craftsman. This is a follow up from my first, raving review. Now that I've had my ebony with black chrome for a while and gotten reactions from folks, I'd give this more than a 5 if I could. The "perfection" of everything just gets such looks. I would suggest to everyone, no matter how not fancy you think you are, get an embedded stone or emblem, people will just go ga-ga and rave to you about your cane. Also, probably more important but not as obvious to others, the solidity of the cane material is a real help in walking comfort. Comparing this to my other, "modern", folding metal ones, there is no "give" with the Stik that is actually much better for my comfort, weight distribution, and feeling of security. Such a totally improved walking experience for me on an orthopedic level. (I did end up shortening it 1.25 inches). Tell all your friends and relatives, they will be very appreciative. BubbaSam, I got my "Stik" about 15min ago.... FANTASTIC WORK! I promise to send you pictures REAL soon. Thank a Million... and thanks for the "Carry Bag" and the engraving of my nickname "Hamm". Totally appreciated. You guys are by far....the BEST! Just got my ebony Stik with black chrome and peridot birthstone. Simply put, it's as beautiful as I'd ever want. Even though I knew I'd like the hame, I had no idea how comfortable it would be and how well it would help me distribute my weight. My knee literally feels no discomfort as I use it. It literally helps me walk better than my other, more 'modern' canes. I wanted a more sophisticated look and got that and much, much more. I just regret that I didn't get one of these earlier. You cannot go wrong if you have one of these made. HE LOVES IT!!! I much prefer your choice of straps than mine! It totally makes the Stik! My husband agrees! Thank you so much! You have no idea how much this meant to me. My husband is a 21 year Air Force veteran, who is battling cancer, and MS. With his health declining, he has needed a cane, but most are either too flimsy, to hospitalish, or to old manish (he's only 54)! He is a very quirky, unique person, and my hero. This is one of those things I can do for him to help him feel less like an invalid. Thank you so much for making this Stik for him, and customizing it with that extra touch! You are now hero status in my eyes, as well! Gave my previous BubbaStik to my best friend a few years ago. Finally ordered... and today received... its replacement. Black Chrome hame and fittings. BubbaSam even made me a custom black leather Latigo sling. Goes very well with the IPE shaft and black chrome. And works just as I wanted it to work, perfect for my needs. The chrome hiking bell even clips to the top loop with strap attached. Turned out perfect, and classy. Even the screw nails and other fasteners are black chromed. Even received a small jar of beeswax/orange oil for wood care! Overall, completely satisfied. HAPPY DAY - my new StepinStik Exotic arrived today. Love it! It is exactly what I was wanting. The Amber Crystal shows up WAY better than I thought it would on the beautiful Wenge wood. I'm glad I got the Black Saffiano strap because, as I suspected, it matches the wood grain nicely IMO. Thank you for your workmanship. I like how everything just fits right and seems very solid -right down to the alignment of the crystal with the one point on the hame handle. Love the black chrome. When I was riding my Indian I tried to black it out as much as I could so I guess I'm predisposed to that "look". Thanks again for your work! I'll be sharin' as they ask about it out here! My new StepinStik just arrived a short time ago and it exceeds my expectations! You obviously have packing these beautiful Stiks down to a very precise science. Kudos for producing and delivering your artful creations with such care and precision! Thank you, also, for including a "dietary supplement" to feed my new pet ~ aka/Bees Wax! I'm sure I'll be enjoying this Exotic StepinStik for the duration of my remaining years. It's simply beautiful! Thanks... they arrived on time! Just want to tell you how much I LOVE my Custom made BubbaStik. It is my #2 Bubba. I fell and broke my #1 Bubba. I was so upset; Thank the Lord I didn't break anything; however, I broke Bubba. #1 Bubba has been with me since June of 2013. My Daughter had the BubbaStik custom made for me, my name engraved and a crystal amethyst, also the tripod tip on the end. Thank you so much BubbaSam, you do great work. I was so happy when Bubba came to me on Christmas Day. The only thing I miss on Bubba is the sticker on the bottom stating Made in Texas by Texans. I send you a BIG HUG and THANK YOU for your expertise and craftsmanship. At a time where Customer Service is at an all time low and more like Customer "Dis-Service" rising above them all is BubbaSam. I have never experienced such excellent, personalized service and incredible communication from a company before. Texting, calling, e-mailing, he was on top of my order from the second I contacted him on a WEEKEND! My mom fell and actually broke her original BubbaStik and was heartbroken. We bought it at a Boot Barn years ago, and it was too big for her, but she loved it anyway. She ended up with a sprained wrist, but breaking her BubbaStik was what she was most upset about. I immediately went on-line, found BubbaSam who walked me through the process of creating one that fit her and then added a purple gem and her name on the brass. Not only did he ship it out the SAME DAY I ordered it, I had it within a couple days, just in time to surprise my mom on Christmas. I can't wait to give it to her. Not only is the Stik perfect, it's beautiful! And the price was far less than I expected to pay, not just for the quality of the stik, but the quality of real American Customer Service from BubbaSam. I cannot thank you enough for making this purchase so easy and fast! If you're waiting to buy a custom stik, don't wait. Just do it. You will be so happy! I am a 46 year old man who has to use a walking stik or cane to walk. I didn't like any of the products on the market because, well lets face it, they are not classy and have no style. I came across StepinStik.com and couldn't wait to get mine. BubbaSam makes a Stik like no other, completely satisfied from purchase to getting my Stik today. It is exactly what I wanted!!! I will use my StepinStik Exotic everywhere!!! I purchased my BubbaStik about 12 years ago when I saw it in a local feed store in San Bernardino. I bought it simply because I thought it was cool, but it became very useful after my ankle was broken in a motorcycle accident that same year. The brass handle has a fair amount of wear and tear, but it's held up well over the years. I couldn't resist ordering a new handle when I saw that it is available in "Black Chrome". I have a cool project planned for the old handle. Just received my most recent purchase from your company!! A new BubbaStik and I love it!! Outstanding product, and service as always. Hope you had a great trip!! I received my BubbaStik order yesterday, cut the length to fit me and my BubbaStik strap bag. Just love your products, and will be attending a special get together in my home town on April 23, 2016. There will be a lot of us Seniors attending and I expect many will be asking about where to get their own BubbaStiks. I will let you know!!! THANK you again for your wonderful product!! The ONLY thing better than BubbaSam's customer service is his craftsmanship. His is a one person operation, but that didn't keep him from answering all my emails. Usually at 3 or 4 in the morning. He was still able to make my Custom Exotic and ship it to me in under a week. I have never seen anything so beautiful. The bocote wood's color and grain is exquisite. It goes perfect with the brass hardware and the black and brown tassel. I couldn't be any happier. He made me a life long customer and friend. I was treated like a gentleman and received more than my moneies worth. Thank you Sir. 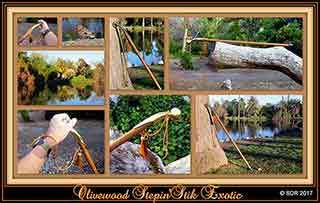 I received my StepinStik Exotic yesterday---it is Beautiful! I am fully satisfied. Christmas is coming up---I may be ordering more for gifts. Just bought some tops from the "special offers". First of all BubbaSam responded super fast to my request. He also let me know about another special that he was about to list that saved me over $15 that I would not have even known about. Package arrived in just a couple days, and I cannot even tell why these are "seconds". I have had a BubbaStik that was bought for me at least 15 years ago and I still love it. I have used it as a cane multiple times and I keep it behind my bedroom door to use "as needed". Great quality, decent prices... great service. Thanks BubbaSam!!! I love my BubbaStiks. They're lovely and conform to my needs very nicely. I would suggest that anyone buying about the stick actually order off of this website, rather than purchasing it anywhere else, as BubbaSam puts so much care and attention into each handmade stik. Thank you again for all you do, BubbaSam. I've had a StepinStik for many years and recently up dated it. Very happy. I just received my new Stik and it is awesome. Thank you. Thanks youall! This is one nice StepinStik Exotic! I love the wood grain in the Gaboon Ebony shaft! Being in construction for 35 years plus, I just want you to know that this is the best cane I've ever seen. You did a beautiful job! Now I'll look good going out with the wife. Well, first of all, I generally do not write reviews, so bear with me. I decided it was time to order a walking stick--mostly because I think I should be too young for a cane:) . After looking around online, I found the BubbaStik, but I did not want the "Bubba Stik" burned into it. I have issues advertising other people's products, and I think it takes away from the looks. I found BubbaSam's site and the StepinStik. StepinStik does not have any names burned into it. I found the site was pretty simple and it walked me through all the steps to place my custom order. So, a little about me: I am generally an impatient perfectionist--yeah, its a curse. Well, my new StepinStik arrived in just a couple days (I didn't even have time to be impatient). It was packed perfectly in a strong cardboard tube with the right bubble wrap in the right spots. Apparently BubbaSam has done this before! I was really excited to unwrap it and try it out. It was the perfect look, feel, and fit. While sitting there admiring it, I found a small flaw on the handle. I then looked at the reviews on Amazon and found a few negatives--don't even pay any attention to the Amazon reviews, they are not for BubbaSam--I will explain momentarily. I fired off a rude email to Sam, who immediately replied very pleasantly with his apologies and offered to take care of everything to my satisfaction. I re-read my rude email, and I realized how inappropriate I had been. We emailed each other a few more times, and I feel as though I have learned some things about Sam. He is a good guy who really cares about his product, his customers, and people in general. Not only has he taken care of my product, but he threw in some extras to make up for any inconvenience it may have caused me--more than circumstances dictated. In retrospect, I feel like I ripped him off! I got a great product, at a great price, and I should never have even complained in the first place. In either case, I now have much more than just a really nice looking functional, and well made "Stik", I have a good experience to remember (for as long as my memory holds out). I feel like I have made a friend with a true American (a Vet no less), who cares about quality and craftsmanship. As for the BubbaStiks, it turns out Sam orders only the wooden shaft with the burned in logo from the original manufacturer in Texas and provides all the rest of the products himself. These are not the same products that you may see advertized on Amazon, and they are NOT the same product you may see in a truck stop. So, if you are trying to decide if you should make a purchase, just DO IT! You won't regret it...and if you even THINK you'll regret it later, Sam will take good care of you--he's a good guy. At 74, I have a disc problem, arthritis and an ex-New Yorker attitude. My beautiful, new StepStik (brass hame, black shaft and brass ferral tip) should ease my walking and assist in "communicating", when necessary. When I take my bride, of 51 years, I'm going to look cool. I may even turn my collar up. Y'all need to post more on Facebook. I bought a BubbaStik several years ago and have never used anything else since. It is hands down my favorite. Having injured both of my knees in my youth playing football going to Comic and Sci Fi conventions was really a pain. The standing and the constant moving really tore my knees up and by the end of the day I could barely walk. Finding a cane that could support me was another issue as I am a fairly large man (6'4 270 pounds). I bought a BubbaStik and used it all during the San Diego Comi-Con. At the end of the day I was still able to walk with only minor stiffness. The BubbaStik was able to support me with ease and I highly suggest getting one. Just letting you know your walking stick looked absolutely great in "
" - I caught a preview screening over at Disney. Thanks again for all your help and you'll see it on the big screen! I received my custom StepinStik this afternoon. What a beauty, perfect fit too. The boys at the VFW and Purple Heart group will be envious. Heard you were a Vietnam Vet too, so welcome home Buddy. I received my third order from BubbaStik.com in three weeks. I had several positive comments about my new Diamonback the first day. It is a unique and beautiful walking stick. I am sure it will get lots of attention at the next Union Mine High School football game. My grandson is in the marching band and their school mascot is the diamondback. Thanks again BubbaSam, for a great line of quality products. I received my second order from BubbaStik today. I got an oak colored StepinStik last week and love it. Today I received a black/chrome StepinStik for dress up and it is beautiful. I also got a Lady Bubba for my wife and she is enthralled. She needs to use a cane, but her vanity would not let her. She cannot wait to go to her office tomorrow with her new Lady Bubba. I purchased a cane stand and it really looks nice in the entry hall with my old favorite canes and my new selection of Stiks. BubbaSam is a real pleasure to do business with. Quality, friendly, helpful service such as this is a rarity and such a pleasure to find. I just got my StepinStik today and I am enthused. All of the canes look great,but the tassle and brass button really make it look dressy. I think I will order a strap. The oak color is a little darker than I expected, but it is ok. I now have three favorite canes. A handmade natural shape that my father in law used for a lot of years, a curvy oak hand made with inlaid turquoise and coral and elk antler handle made by Water Crow and my very classy StepinStik . Can't wait to get a Diamondback! Wow! I just received my BubbaStaf today in immaculate condition and I am compelled to report the workmanship is superb. I had my Staff Custom made with a Dark Mahogany finish, and mounting loop. It is 51.75" long, with a HD Round bottom tip. It will be used for an everyday walking stick, replacing any type of cane for me, only with class. This is my second "Stik" and I am so happy with these products, I will probably be ordering more, in different colors. Thanks BubbaSam for making a great product. Sir Douglas Ladore. I am really impressed with the quality and appearance of my StepinStik. I have received compliments daily in the short week that I have possessed my Stik! The Carry Bag arrived Wednesday and is a perfect fit, thanks to your reminder that I have a StepinStik. The thickness of the material is perfect to protect my Stik, yet not be bulky or unwieldly. I am pleased enough with my purchase that I will soon be ordering one for my father who is due for ankle surgery later this month. It is always a pleasure to pass on information about quality products, especially those made in America. I am glad you like the suggestion of cards. The surprise on peoples faces when I tell them the cost always amuses me, and I hope to see many more BubbaStiks around. Again, Thank you for creating a quality product, and your service to our country! During our RV travels I had seen the Bubbastik 3 times in the past (AZ, TX and N. CA) and loved it from the first time I put it my hand. I just kept putting it off for no apparent reason. Lately however I have been using a cane because of my back pain and the Doctors order to take it slow and don't fall or else. After Christmas, I was playing around on the Web and when I Googled 'canes' up popped a retailer whose site showed me a Bubbastik and went to their Website directly. my shiny brass and mahogany beauty. My wife was even impressed. It fit perfectly in my hand and it's solid as a rock. It will be my constant companion. Thank you Bubbastik for a truly fantastic piece of 'art' and functionality. I just ordered my second stik and I feel like a kid on Christmas eve waiting to open my toys. I'm 62 and suffer from a bad back and this is the only stik I have ever found that fits the bill. I plan on getting the fancy stiks for formal stuff but the stiks I have now are wonderful! Thanks Sam. Your my hero and I am a fan. Love it. Pick one up this weekend . Used it for those long shopping mall trips with the wife. Great way to get around with. Just got my custom Bubbastik and just can't believe how beautiful it is. 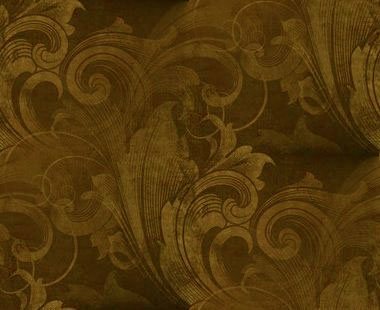 It is really a work of art with its shiny brass handle and delightful looking mahogany staff. I have never seen anything quite like it at any price. It is a true custom piece as one can choose various type of wood, handles, straps, logos and specific wood lengths (branded or unbranded) to suit your pleasure. Customer service is also terrific. I had a very slight problem and Bubbasam responded in just a few hours, made a correction and even added a special surprise for my troubles... a free logo and a free leather strap (one of the firsts) on it with my initials. I am proud to be seen with it! Although I am disabled, the beauty and ergonomics of it encourages me to walk more which is good for my health. If you are looking for a cane or walking stick, look no further. My son bought my Stik while passing through Texas and right after he gave it to me I fell in love with it. The way it fits into the palm of my hand is unbelievable. I am 6'6" and over 300 pounds. This cane by far surpasses any other cane I have ever owned. I belong to a disabled Veterans group and I am sure many of these Vets are looking to aquire there own sticks. BTW I am a inactive Marine. Thank you folks for developing this wonderful cane. I have only one negative report and that is that the black rubber tip that comes with your stik has a very short life span. The tips i bought at home Depot have a much better life span. Sorry BubbaFolks but i need to protect my fellow Vets. I bought mine in a truck stop in Utah and I love it 'cause my knees were startin' ta act up! After the good 'ol head-on collision I had in 2009 after I lost my job AND my wife,I darn near loose my LIFE! I did die 2 times and got to see my Granddaddy on the "other side" he told me to go back and get to work! So, now my BubbaStik really came in handy due to the fact I had to get my whole right side replaced from the hip down. I don't and can't go anywhere without my BubbaStik! But,sadly,I just lost my prized Bubba and so I got online and boy am I happy to see I can get another BUBBASTIK! This one is gonna be even better! THANK YOU! Hello, Honestly, can there be a better value out there for walking sticks? I think not. Picked mine up here at a local Boot Barn store. Everyone who sees this beauty wants to buy it from me! Yes, even semi-retired writer type people from California who lived in Texas use BubbaStiks. I put it on my Christmas list and guess what Santa brought me. A beautiful Oak colored one which I have enjoyed using for the last few weeks. The 39" height is much better than the standard 35 or 36 inch length for me. I am 6 foot tall and wanted a walking "stik" to help steady me when I am poking around the sea shore or getting into odd locations to take pictures. In addition, my doctor wants me to walk more this year so I figured a good walking stick would help and provide some degree of protection as well. Like no other one I have, this cane fits my needs of a solid handle, perfect height, excellent quality, and good looks. It is, as well, nice to know that by the end of a hard day going in and out of antique stores, or when we are finally at the last winery on the tour, my BubbaStik is there to help me though the crowd...ah... one way or another. I recently wrote an email to this website regarding my "stik". I had a little hairline crack develop in the brass handle. My email was forwarded to the factory. I then received a response from Steve who is the president of Bubba Stik, Inc. After dealing with him for a couple days, he ended up shipping me a new "BubbaStik" free of charge! The service I had received was top notch! Steve also threw in a free t-shirt! I would recommend a BubbaStik to anyone in question!!! Once in a great while we'll get a handle with a hairline crack in it that doesn't show up until it's been used for a while. Thanks for the great comments. Looking at this day, Dec 7,2009 makes me proud to know that Bubba Stik has given custom made BubbaStiks to all Medal of Honer Recipients that have made the travels to Gainesville, TX. I have had the pleasure to witness this event one time and glad I was able to. Keep up the great work Bubba Stik! The stik is beautiful. I absolutely love it. Very high quality for the price. Nine years ago I shattered my ankle in a car crash and have had multiple surgeries. This stik will help me in a big way. Sad that at 35 I'm forced to use a cane. But this cane will add lots of style and function to my life. Searched the internet, and this is the one I could hardly wait to get. Got it today, and love it. Ordered the jacobean with chrome top. Very sharp. Thank you BubbaSam. Highly recommend. I am originally from Amarillo Texas. I saw a new family member by marriage (Daughter in-law) with one of these BubbaStiks. I was very impressed with it. They said they would get me one. Well on my 25th Anniversary I saw them again and again they said he would get me one. Well I got it 4 days ago and I consider it the best Anniversary present I have ever received to date. Being that I am a Texan in California I like to stick to Texas made items and so forth, this just adds to my style of Texans made Products along with Texas made Habanaro Pepper Hot sauce. Anyway, this is so very cool. My daughter 10 year old keeps trying to take it. She has already scratched it up some but it is still my favorite. I always thought the term Bubba was used as a racial slur which is why I was originally reluctant to get your Stik. But on reading your description showing it just means 'Very Neighborly'. When in Amarillo I use to make horse cinches by piece work as a teen. I had the shop record in the Watson Brothers Company. 8 and 1/2 minutes was the shop record I made one in. I averaged about 10 minutes at normal pace. When I see this it reminds me of those days. What I like best about this is it can also be used in self defense and you can take it anywhere with you, even on a Plane. If this is used on a hard working horse it can easily be used to protect yourself. California is much more dangerous than when I was living in Texas. I know that with a bad back it would be hard to defend myself but with a stick like this I can support myself and defend myself. That works for me! You Texans keep up the good work. A little advice from one Texan to the others. Take care. I decided on the "Original" in an Oak finish. It arrived in only 3 days, incredible service, and the first thing I noticed was the exceptional quality. This baby is built to handle whatever you might toss its way. The first day I used the Stik I got 4 compliments on the design and over all looks. Folks just seem to be drawn to this unique product. I would be surprised if most of them do not order one. I was looking for a cane/waking stick that functioned well and also offered a source of self defense while walking the local trails (lots of wildlife in this area). The "BubbaStik" more than fills the needs. This product offers all that you could ask for and then some. I was given my BubbaStik as a birthday present about 8 years ago. It has sat behind my bedroom door as a quick defense weapon if needed. I just had knee replacement surgery and was send home with a walker. The walker was so big and cumbersome, I grabbed my BubbaStik and have been using it since that moment. It is much more satisfactory, and has an added bonus of being able to reach for things, and keep kids and pets off of my healing knee. I love my BubbaStik. Hey BubbaSam! I just got my new "Sunday go to meeting' bubbastik with all the engraving and medallions attached to it yesterday, 19 Nov. I was surprised to get it so soon!. It looks HOT!. Now I have a work day stik and a "Sunday go to meeting (so to speak)" stik. The first one I got last year on the way back from a Missouri visit with my besy friend from there. We go the stik in between there somewhere at a "Love" truck stop. Even "plain" they look good, certainly are useful. It is the next lighter step down from the mahogany. However, with the new fancy one, I can leave a sort of heirloom with my family, as it also honors my late older brother. He and I were close. He retired from the AF and I from the USN. Both of us Vietnam veterans. That is why the particular medallions. I went to the Navy Exchange in San Diego right off the bat after I got it and people thought it was really nice. I told them it was my "Sunday go to meeting" bubbastik! Again thanks for your suggestions on it. I use my other one to go for walks and hiking also. Again, both, especially my new one are "5s." Everywhere I go people like my stik. People tell me I have style. I commute in bad areas and don't worry cause I don't have a light weight cane - I got the stik. Good job guys! What a gift to recieve. I just turned 70 and I can still kick and act naughty for my 70th birthday. This was a gift that I wanted for a long time and for a old lady it just came as a gift from heaven. It is very supportive and when I take walks I always take BUBBA with me to fight off any unwanted animals or earthlings. It is so sturdy and a work of art. Truly a very very satisfied customer. Thanks to your company and my cousin that bought it for me. Bought one for my friend who lives on Vancouver Island, Canada. He walks with it and since neighborhood dogs sometimes come around he is of course better equipped to fend off unwanted visits if necessary. The island also boasts of a good population of black bears. I'm glad he has the Original BubbaStik in hand when he's out a walkin! I thank you and so does he for making a well constructed walking stick. His last stick cost hundreds of dollars- was tipped with "camel bone" which broke the first time this "hardest bone in the world" hit the pavement! This one will last and is comfortable to carry. I work in hospitals for the last 14 years,and have transferred my share of 350 pounders on and off the imager I use in my job as a pet/ct tech working with cancer patients. 5 years ago my back broke after the constant abuse I gave it and 4 surgeries later I needed a cane to help me get around. It finally got to me when my grandson(5) told me I looked old cause I use a cane, it hurts all the time he asked. I told him it did, and the very next day a patient came in with a BUBBA STIK. He let me try it and it fit better than the aluminum canes the Dr. gave me. My grandson say's I don't look old any more and I get all the support I ever need. I feel and look my age now 53. Thanks BubbaSam!